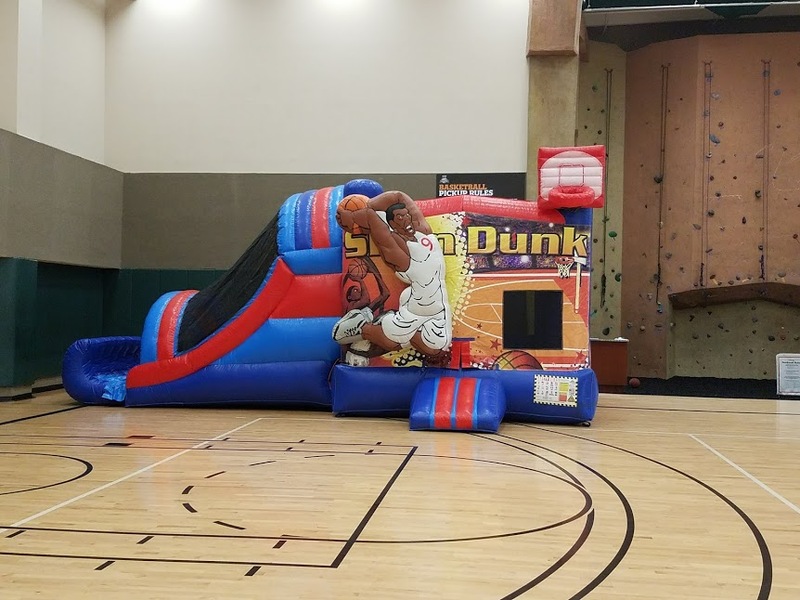 Basketball themed bounce house with a baskeball hoop inside. This unit is great for the little basketball fan. 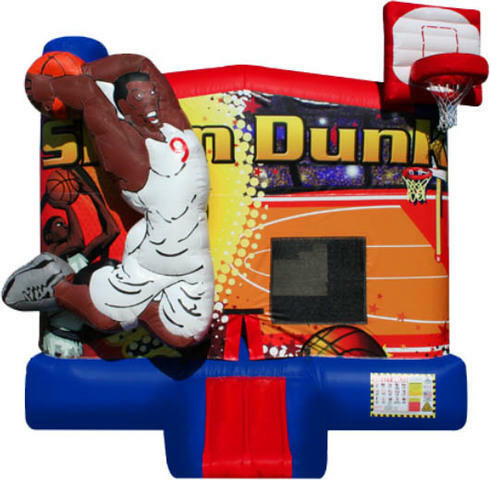 Add a slie to this bounce house to create an extra feature!! !